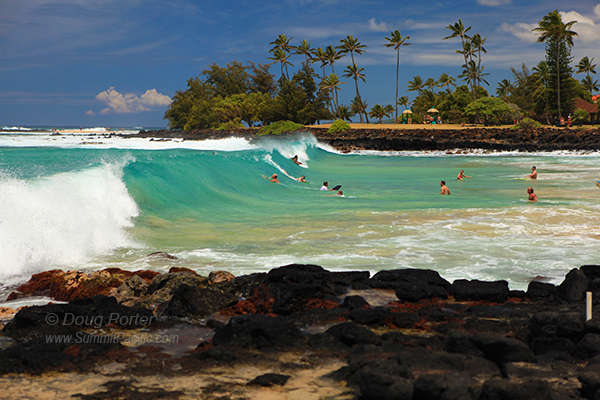 Brennecke Beach is one of the 3 most popular beaches in the Poipu area. Located next to Poipu Beach Park, Brenneckes is very popular for boogie boarding, snorkeling, and sunbathing. Hawaiian Green Sea Turtles are often spotted in the surf and seem to be having as much fun as the boogie boarders. Click to find other beautiful Kauai Beaches.